Bennett Lorber ’64 was recently named the 60th president of the College of Physicians of Philadelphia—the oldest medical organization in the United States. The Durant Chair in Medicine and also a professor of microbiology and immunology in the Temple University School of Medicine, he is recognized internationally as a leading authority on anaerobic infections and human listeriosis, an important food-borne disease. A fellow of The College of Physicians since 1979 and a member of its Board of Trustees since 1997, Lorber is also a master of the American College of Physicians, a fellow of the Infectious Diseases Society of America, and president of the Anaerobe Society of the Americas. According to Richard Kozera, M.D., executive associate dean in the School of Medicine, Lorber excels in scholarship, education, and clinical prowess and has sustained this excellence over his entire career. 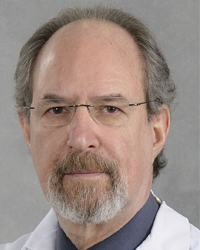 Lorber’s many awards include the Clinical Practice Award from the Pennsylvania College of Internal Medicine, the Alexander Fleming Lifetime Achievement Award from the Infectious Diseases Society of America, and the Temple University Great Teacher Award.